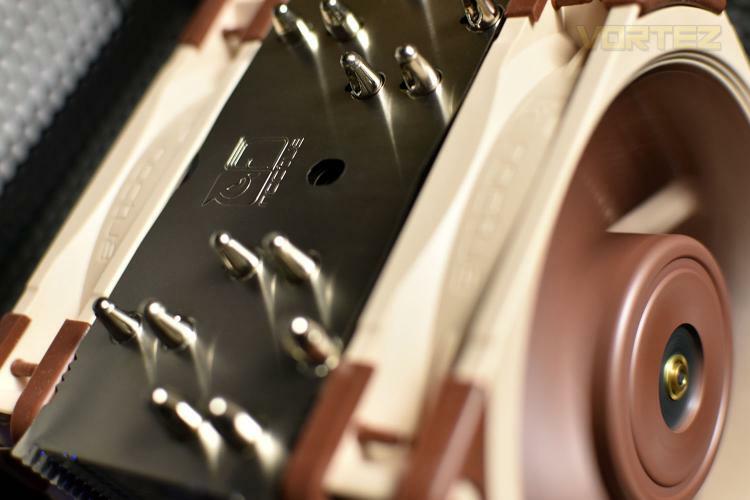 Noctua, now in their 14th year of business, set about designing and constructing some of the world’s quietest and best-performing cooling solutions for consumers and businesses in the computing sector. Noctua’s NH-U12A is now the 5th generation of the NH-U12 family of 120mm CPU coolers. The NH-U12A packs many new features designed to remove as much heat as possible from your CPU without impacting on noise levels. The NH-U12A utilises Noctua’s epic NF-A12x25 120mm cooling fans, one either side of the heatsink; our review of the fan proved it to be the best fan we’d ever tested, and almost a year on, we’re yet to see anything better. We’ve not seen these fans attached to a Noctua cooler yet so we’ll be interested to see how these get on. The heatsink features 7 heat pipes with a soldered interface instead of the more traditional press-fitting and boasts a 100% RAM compatibility with Intel LGA115x and AMD AM4 socket types. We also get Noctua’s well-regarded SecuFirm2 mounting system that can be adapted for all socket types with promised future-proofing, a full-size syringe of Noctua NT-H1 thermal paste and a 6-year manufacturers warranty on all components. Considering all of that, the Noctua NH-U12A appears to offer the entire package, but at £89.95 in the UK, and the equivalent elsewhere, it certainly doesn’t tick the “cheap” box. However, solid performance in our tests may justify that asking price. Let’s find out.